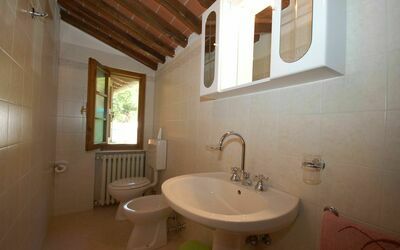 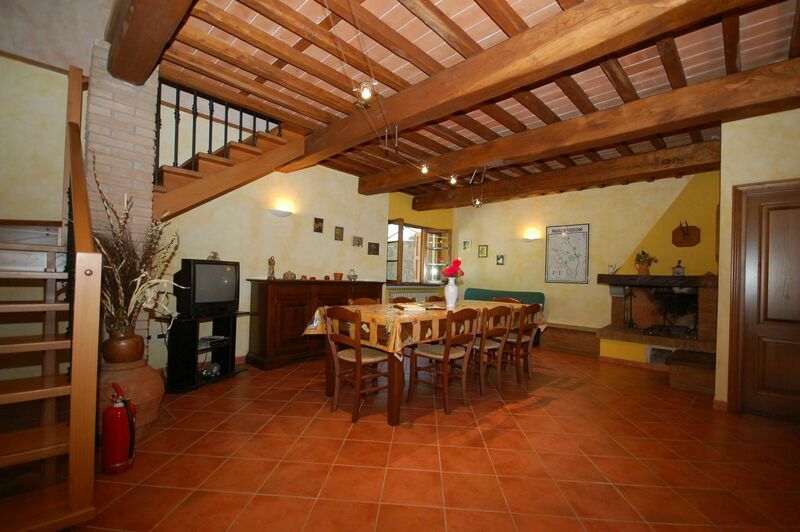 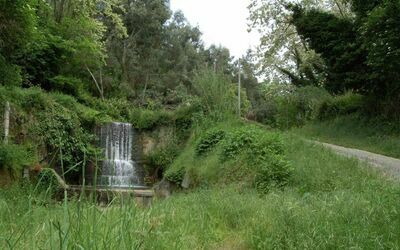 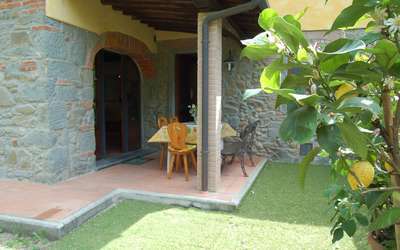 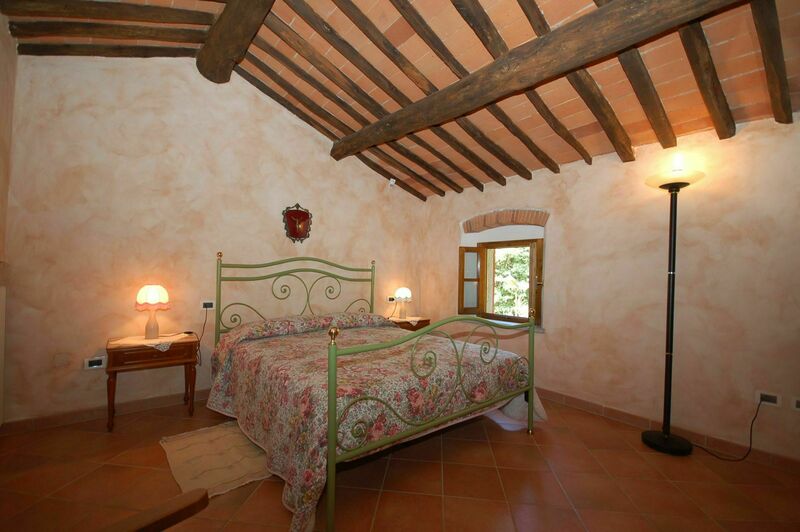 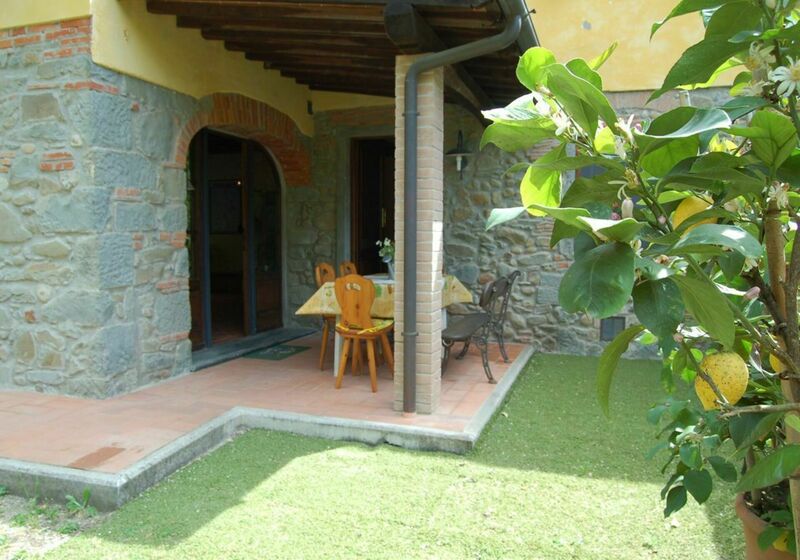 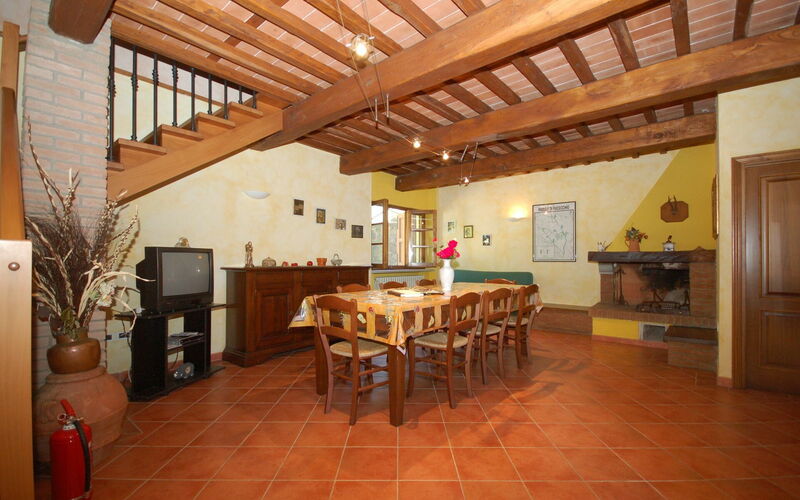 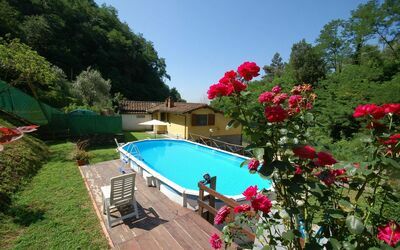 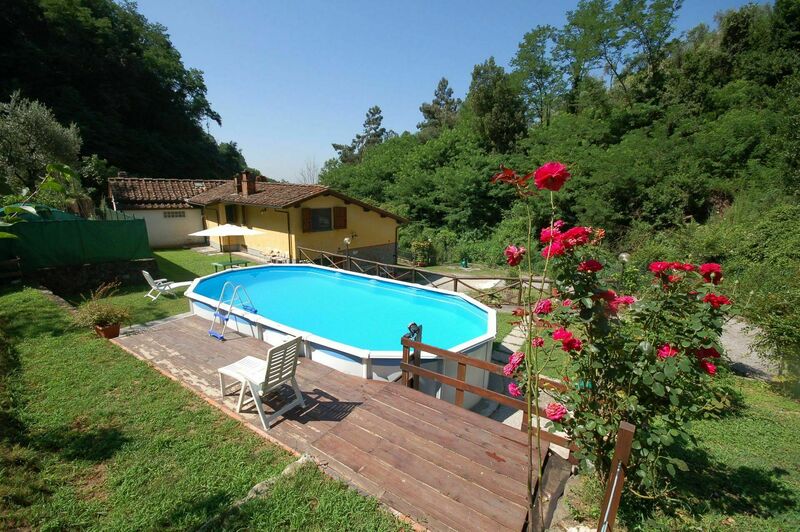 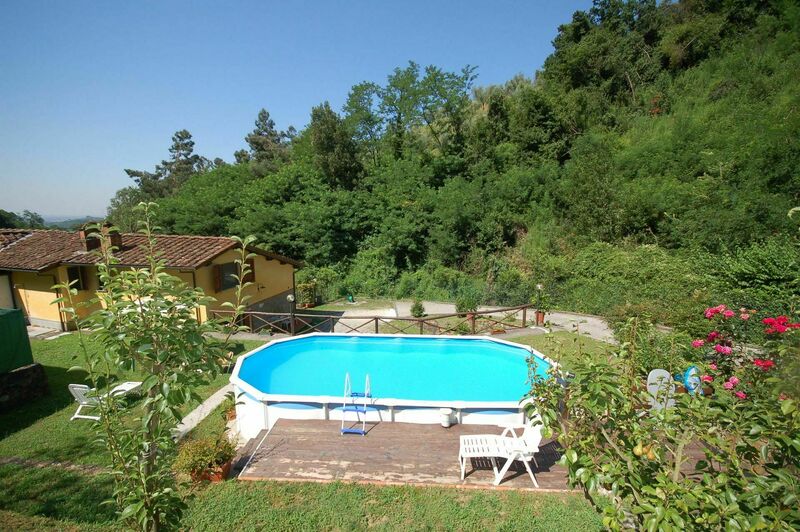 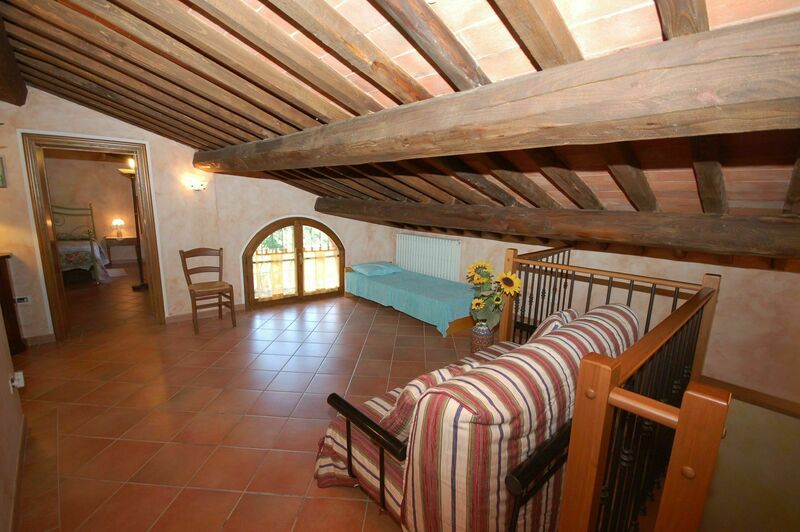 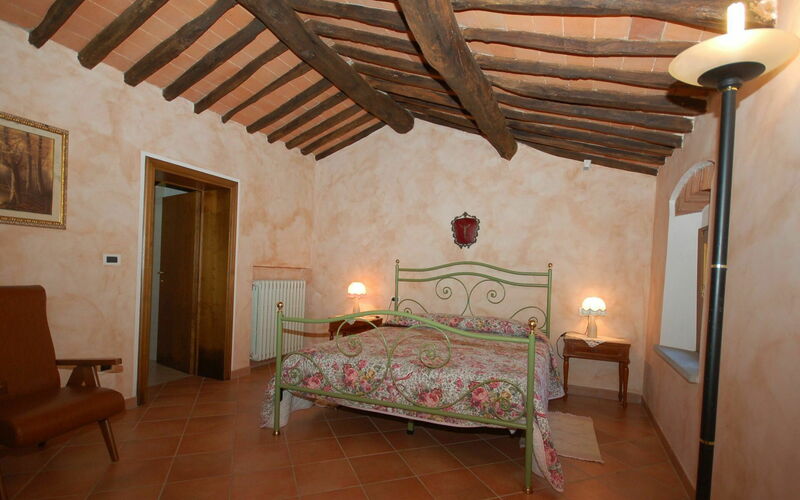 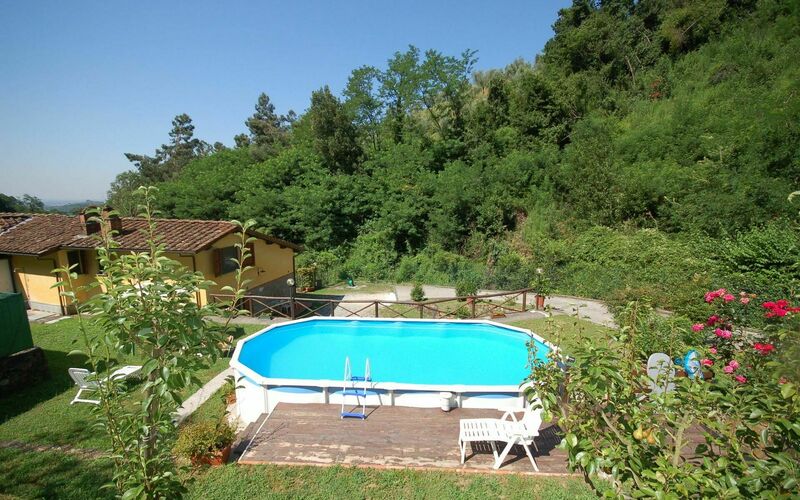 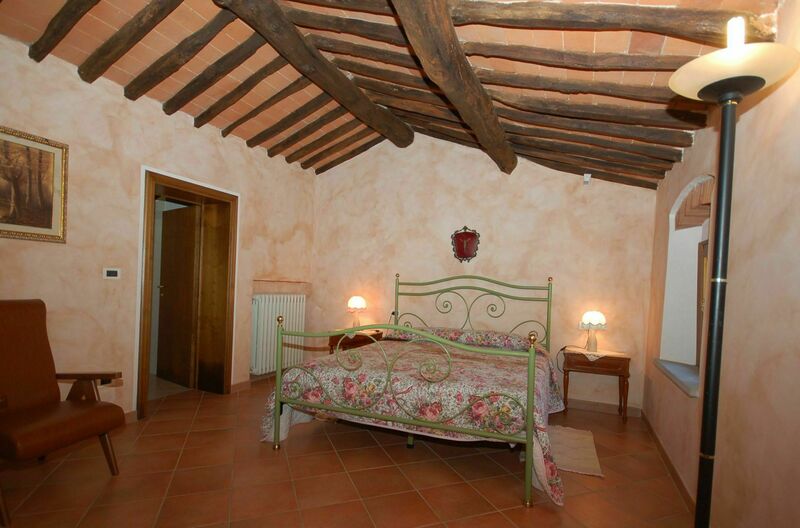 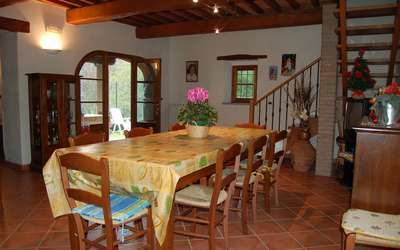 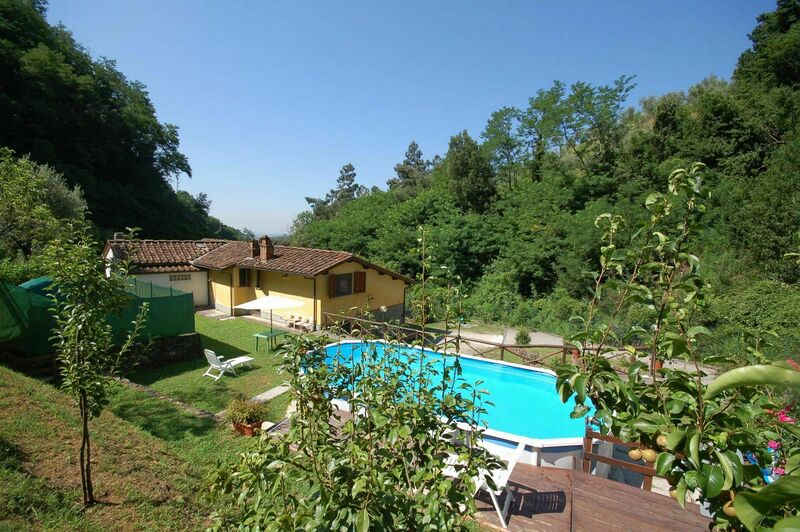 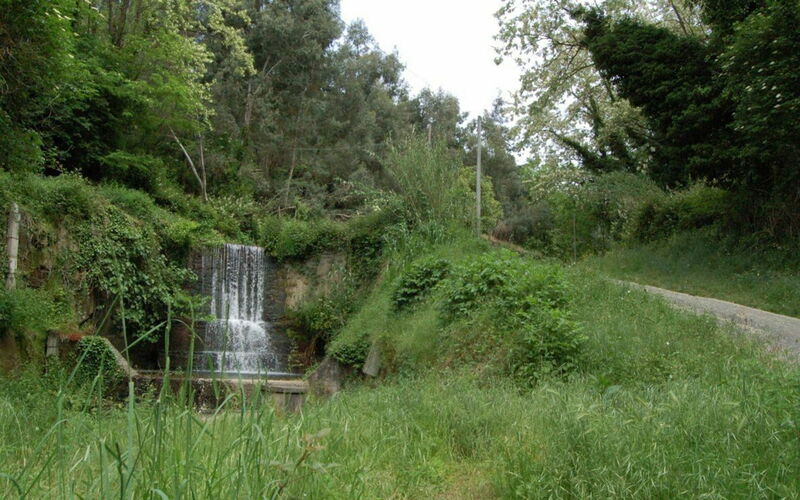 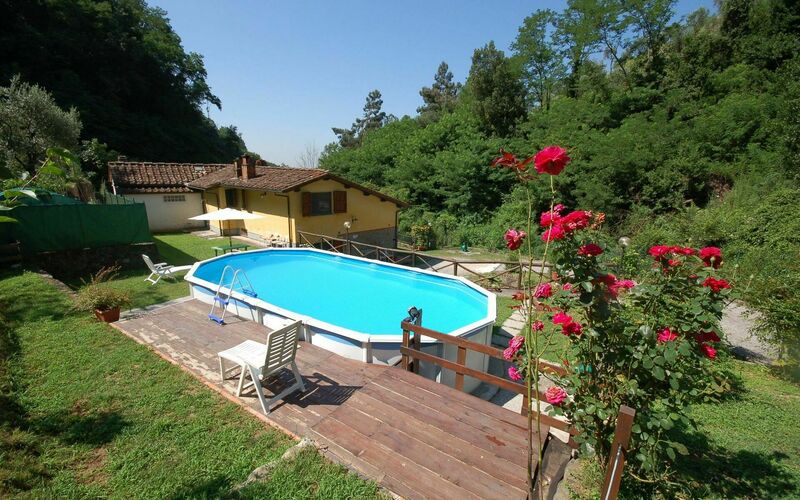 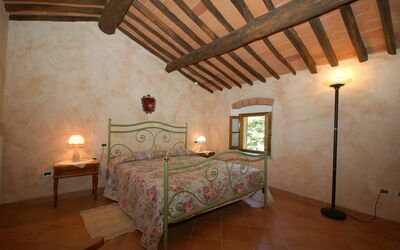 Holiday rental Casa Milena is a lovely property (120 sq m) that includes private pool and internet. 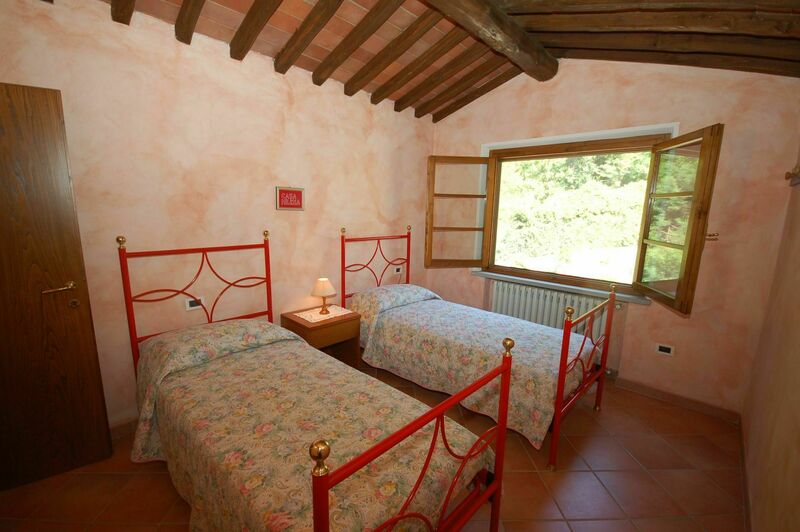 The property can sleep up to six guests comfortably in two bedrooms with two bathrooms. 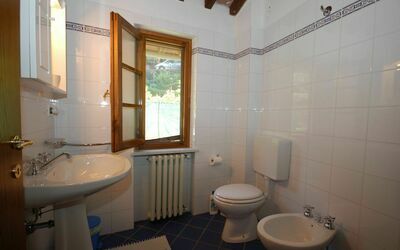 Casa Milena is located in Massa E Cozzile, Italy and only 35 km (22 mi) from Lucca in the tourist area "Lucca And Surroundings". In nearby towns there are local shops where you can find fresh produce and other items. 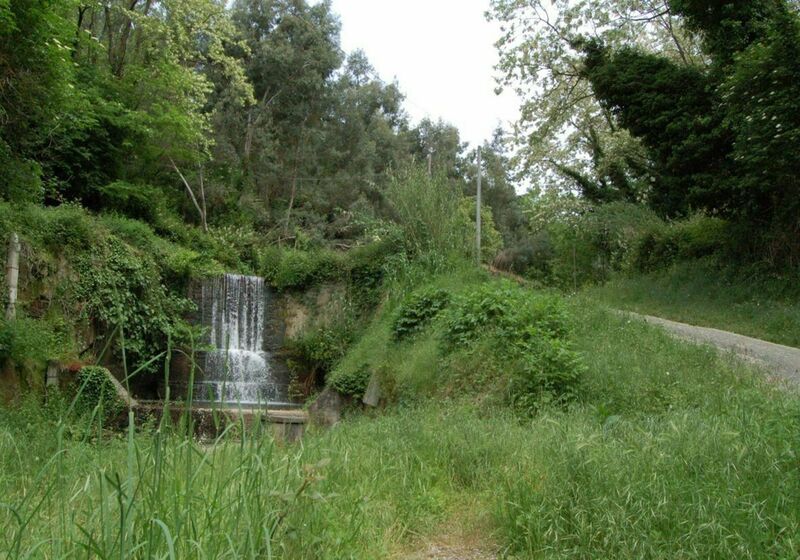 If you can't find what you need locally, there is a shopping center located 5 km (3 mi) from the property where you can purchase your groceries and personal items. 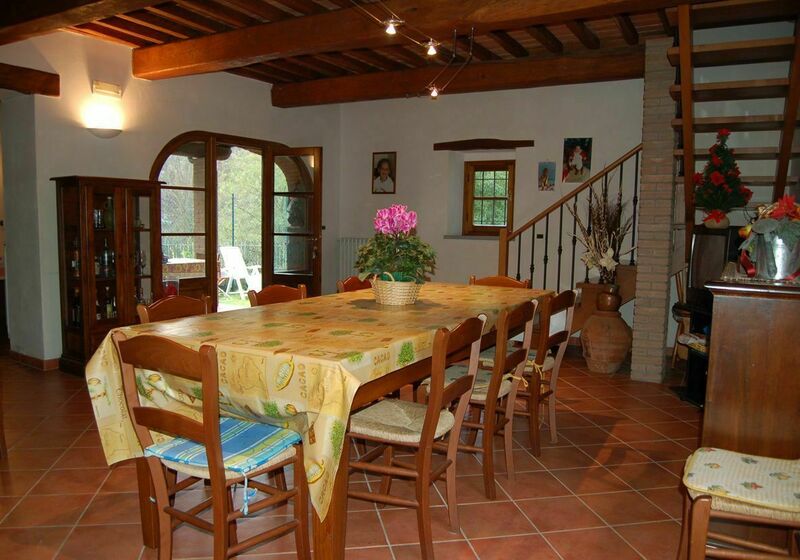 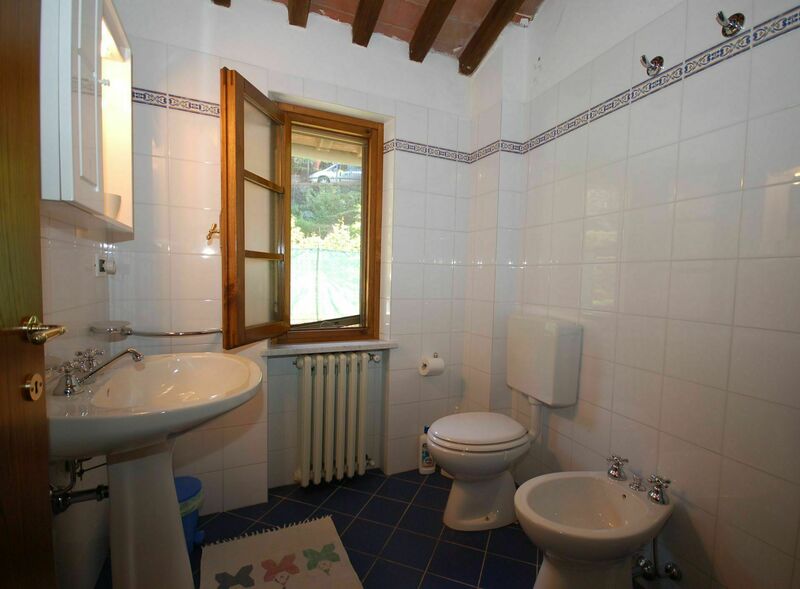 Upon arrival you will be greeted by the owner or manager where you’ll find a nice clean well-maintained property ideal for a peaceful vacation in Tuscany. Regardless of how you spend your days - sightseeing, visiting museums, shopping or just driving in the countryside, when you arrive home you can unwind with your family and friends at the pool for a perfect ending to another day in Tuscany. 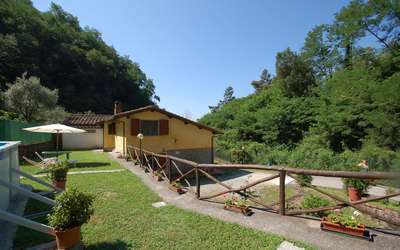 It's really convenient to have a washing machine on the property that is available for your laundry needs. Outside you will also find a barbecue grill and patio. 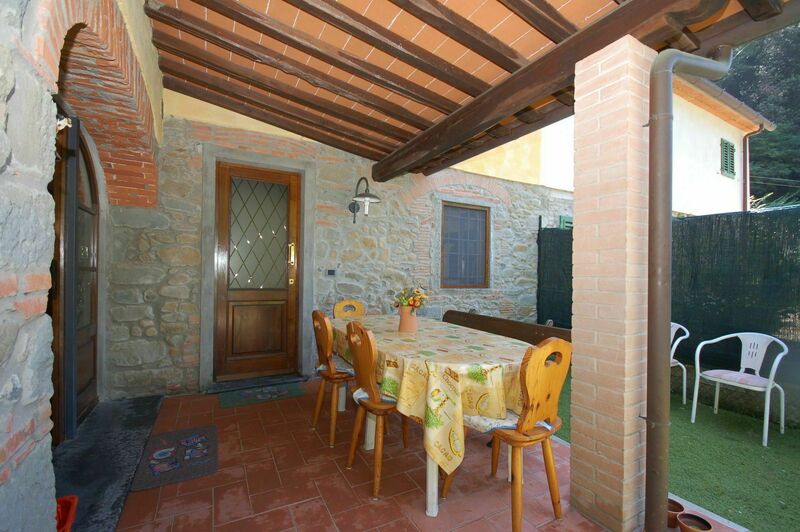 Sharing a meal with friends and family is a huge part of the Tuscan culture. Take advantage of the kitchen to prepare meals using local produce while on your vacation. 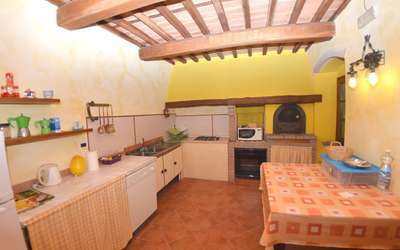 The kitchen includes coffee machine, microwave, stove and refrigerator, as well as, plenty of tableware and cutlery for up to six people. 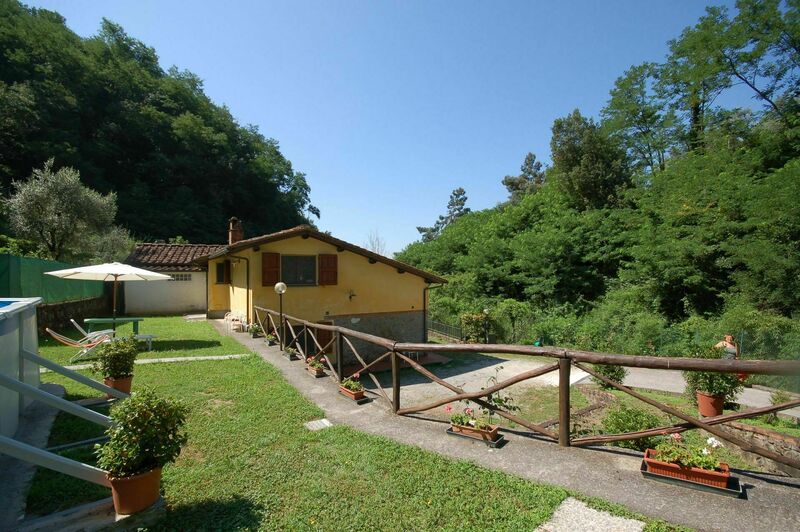 Most people enjoy visiting nearby cities and towns while on holiday, so for your reference this is a list of popular places with driving distances from the property: Lucca 35 km (22 mi), Florence 52 km (32 mi), Viareggio 56 km (35 mi), Forte Dei Marmi 63 km (39 mi) and Pisa 65 km (40 mi). 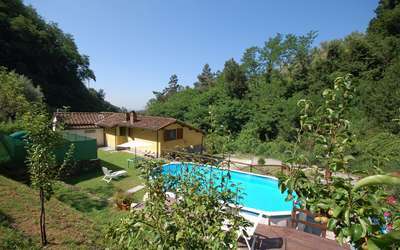 The highway is only 5 km (3 mi) from the villa and there is a train station 4 km (2 mi) away.